Many of our clubs have began. Some clubs run on a rational basis so that all children in the class have the opportunity to attend over the course of the academic Year. 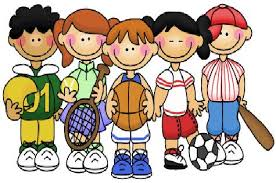 We have had an overwhelming response to parents requesting places for their child to attend clubs and we currently have Multi Skills clubs running for Years 1, 2, 3, 4 and 5 as well as MyMaths for pupils throughout the week. The list of pupils attending clubs this term will change and pupils who were not selected this term will have a opportunity to attend in the Summer term.